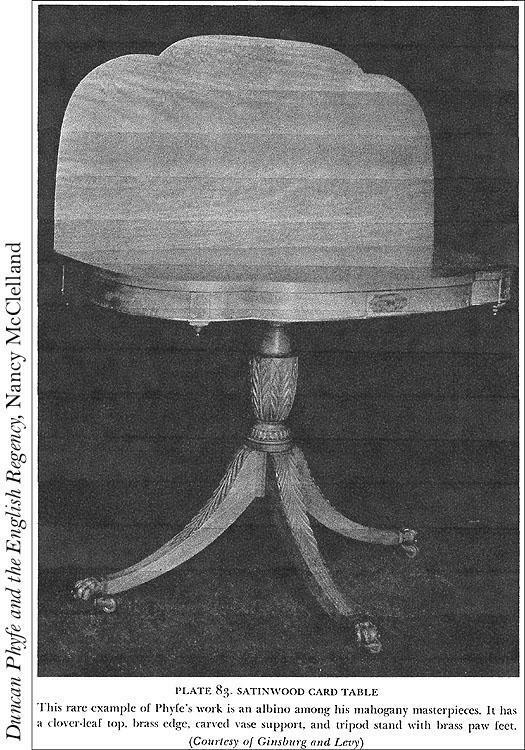 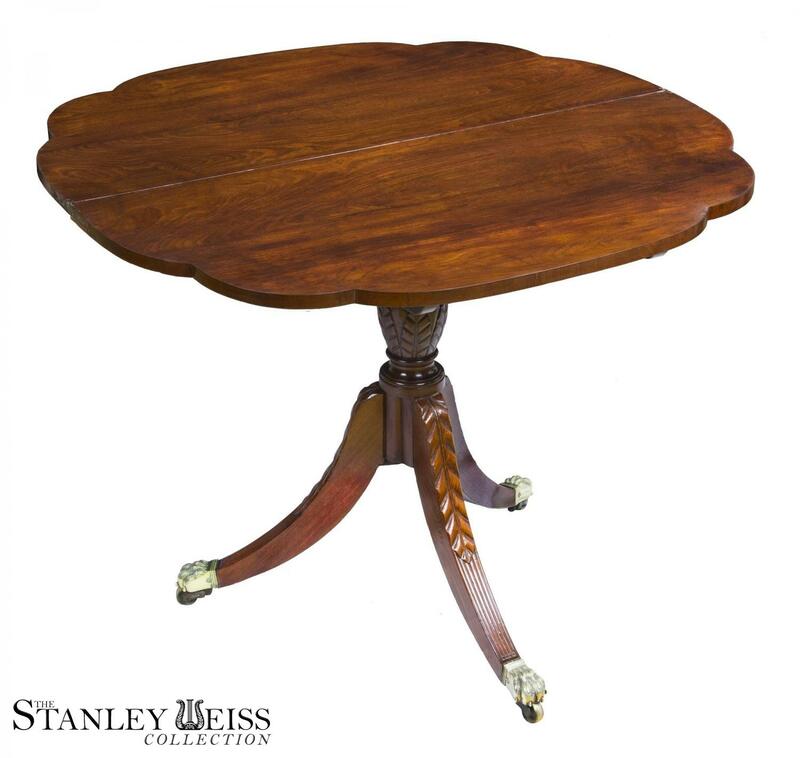 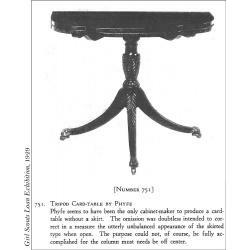 There are many variations on this table, and one of the primary points of connoisseurship is the shape of the top. 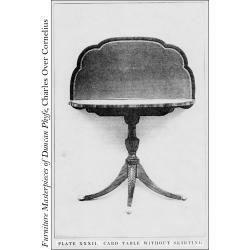 Some are demi-lune, (half round) and some have two elliptical curves, and sometimes even three, which this table has, to its credit. 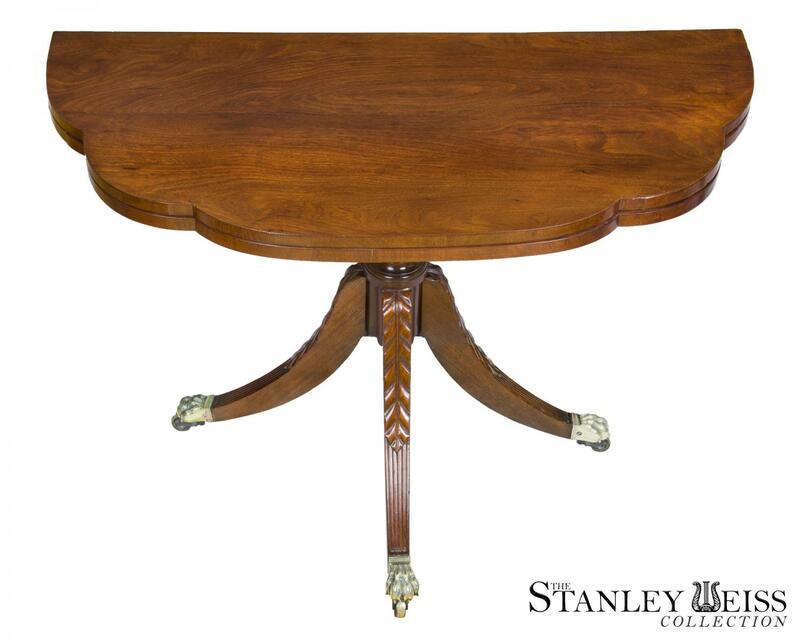 Of the school, this table is utter simplicity. 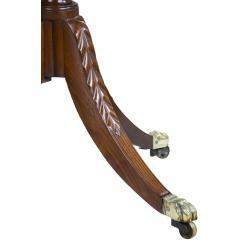 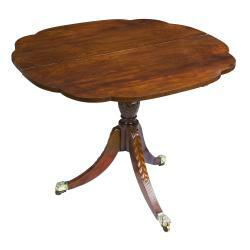 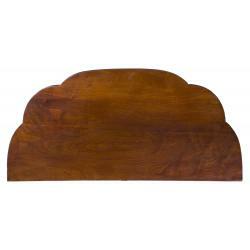 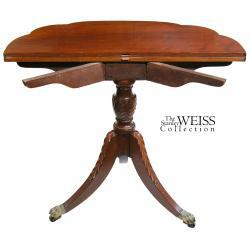 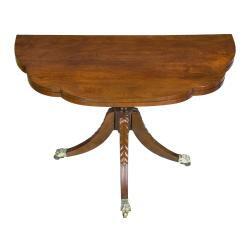 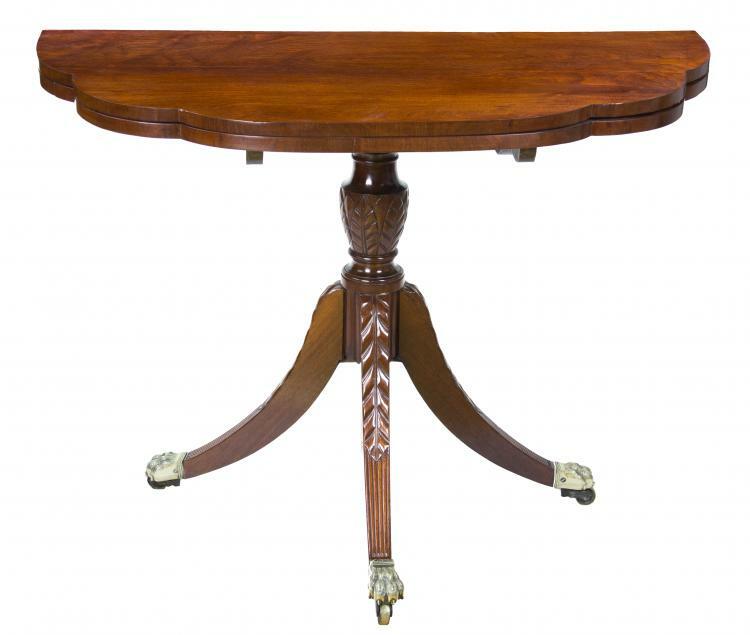 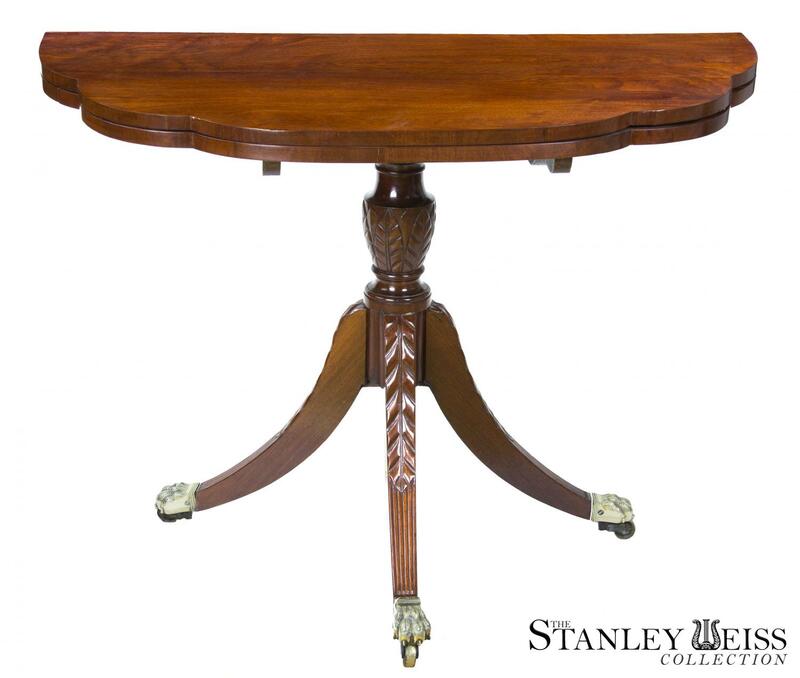 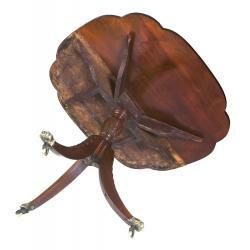 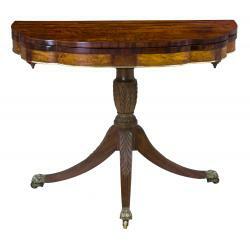 We have used this table as a side table or almost a pier table, given its nearly 30-inch height. 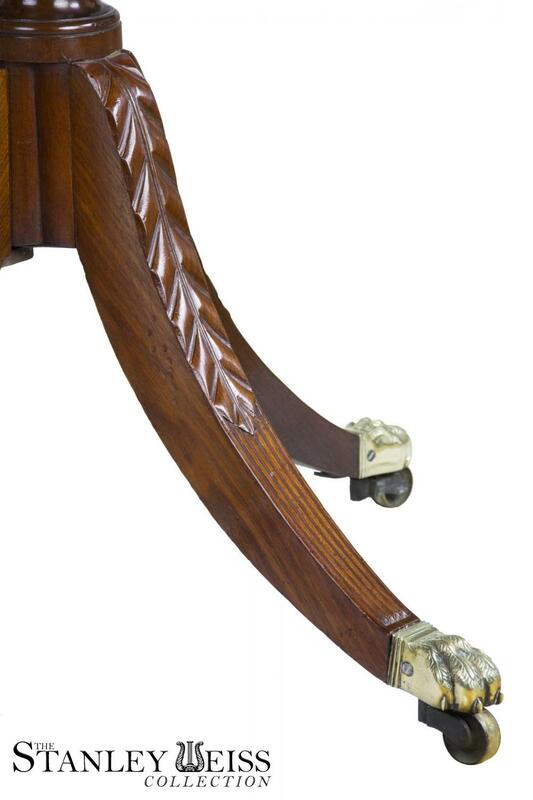 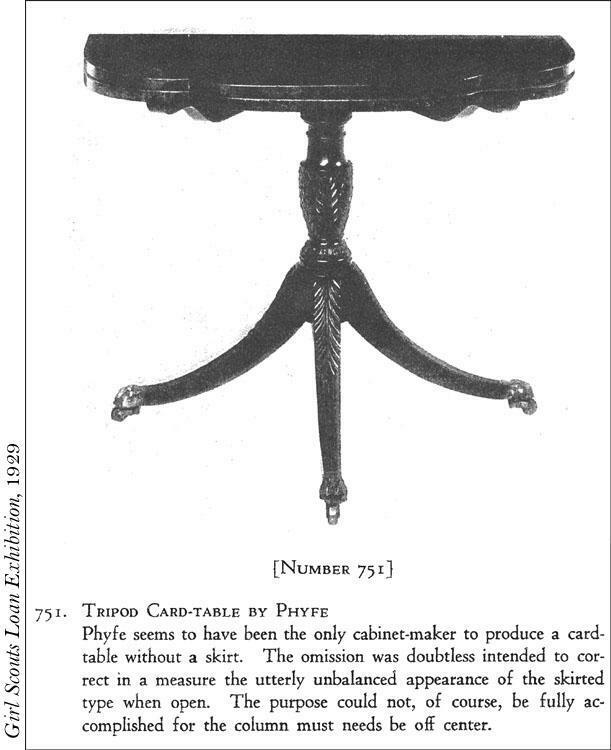 Note the apron disappears, and all one sees is a minimalist top with its two supporting battens on a carved urn with leafage carved legs that terminate in the quintessential brass paw foot. 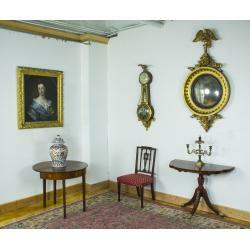 This has been in our personal collection for over 30 years and came through John Walton, a leading dealer at the time. 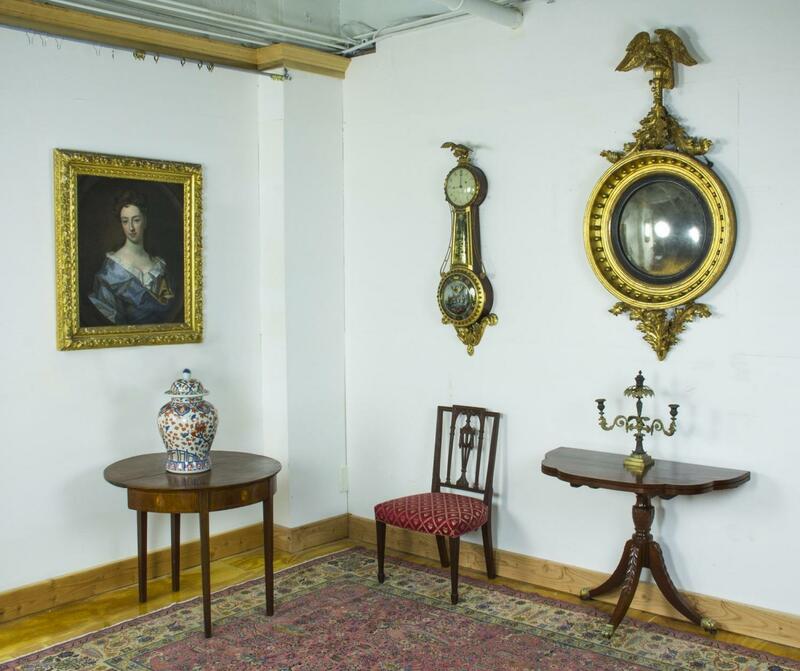 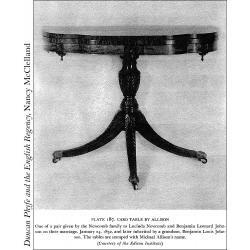 For other examples attributed to Duncan Phyfe Workshop, see Federal Furniture and Decorative Arts at Boscobel, exhibit 28. 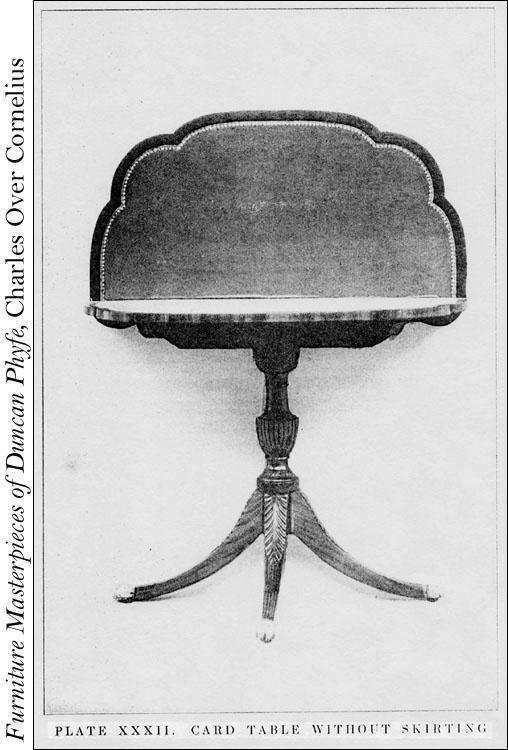 Also, see Furniture Masterpieces of Duncan Phyfe, by Charles Cornelius, Plate XXXII. 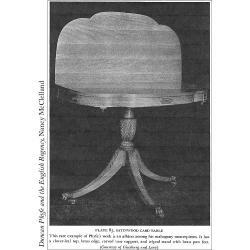 Also, see F. Lewis Hinckley, A Directory of Antique Furniture, page 313, item 1011. 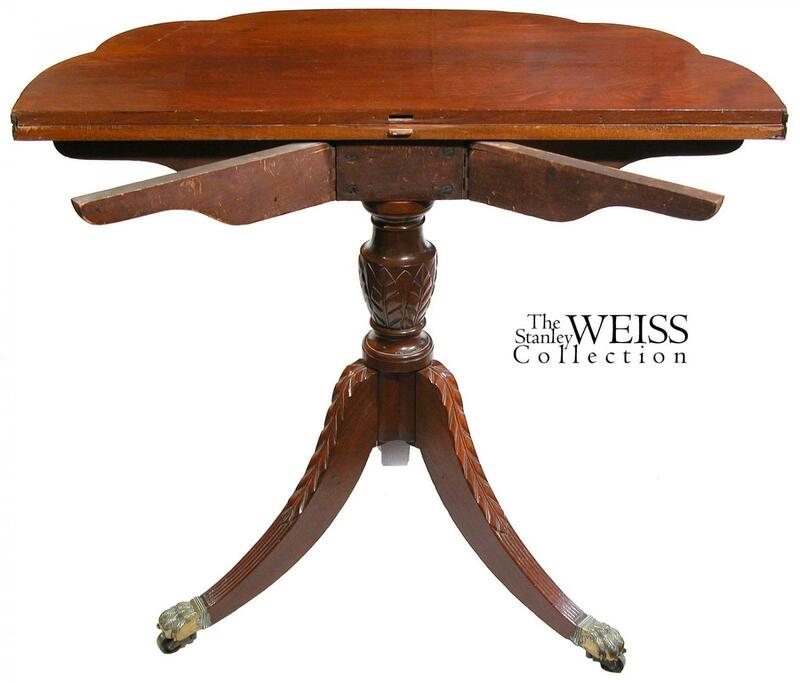 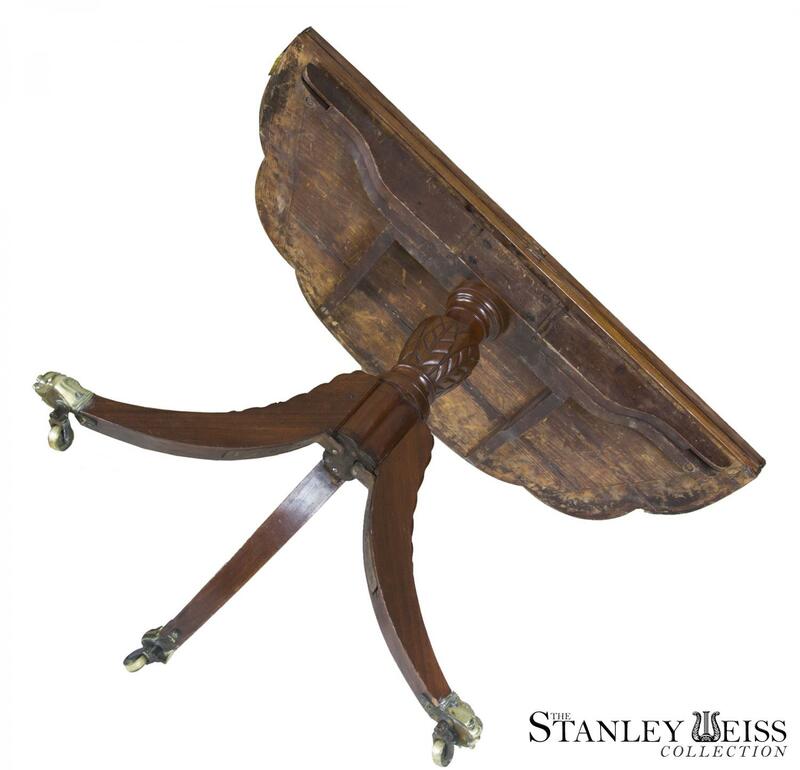 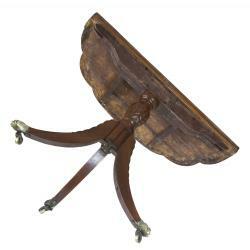 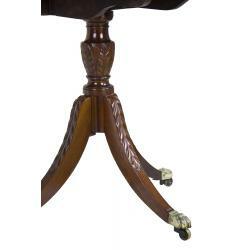 Lastly, it should be noted that these tables are referred to as "trick leg card tables" due to the rotating rear legs that swing back together with supporting wings to accommodate the table leaf when opened. 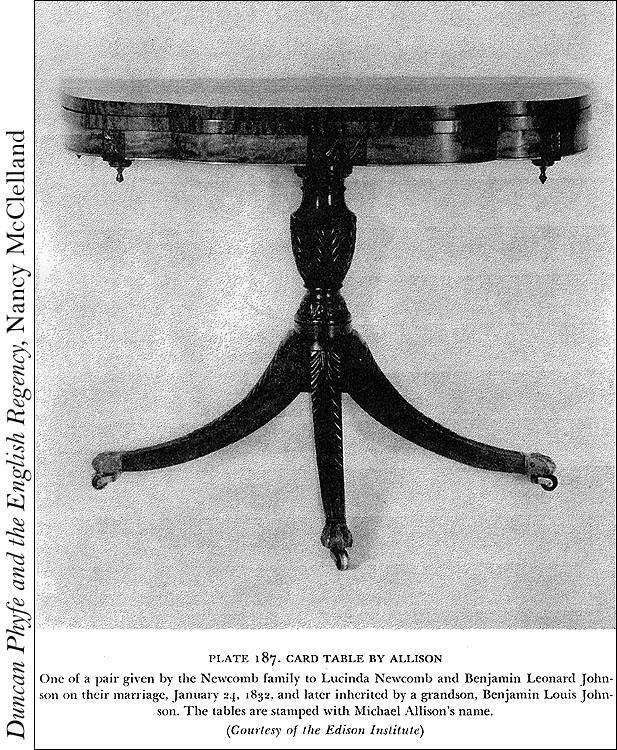 Height: 29 3/4 in. 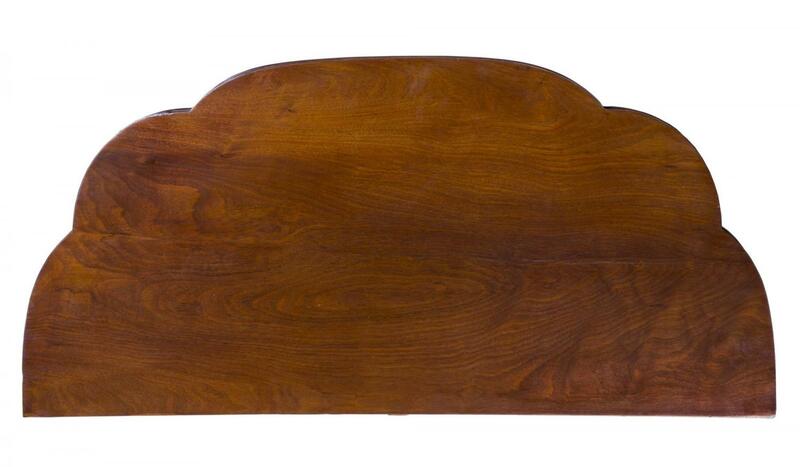 Width: 37 3/4 in. 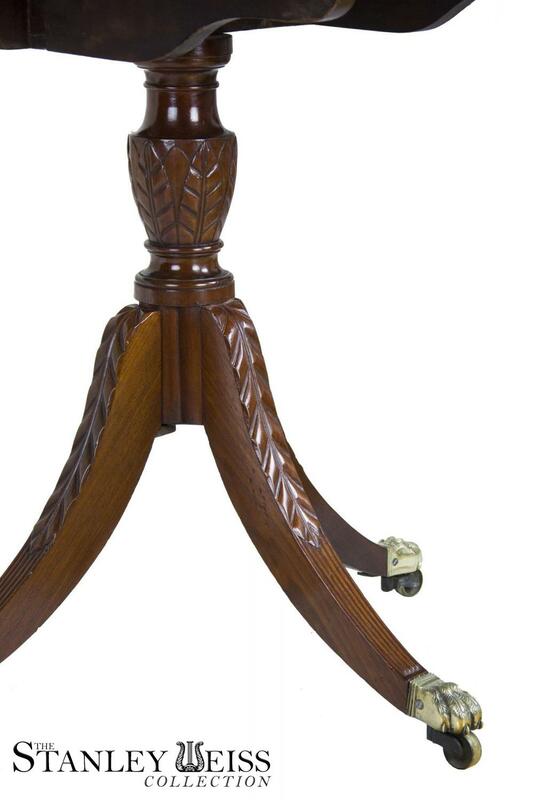 Depth: 18 in.